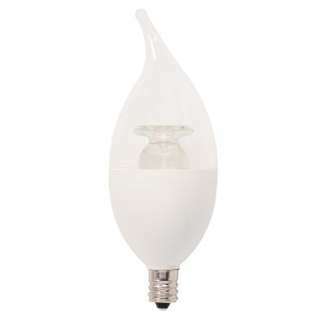 These decorative LED light bulbs are an excellent energy-saving replacement for incandescent flame tip light bulbs. 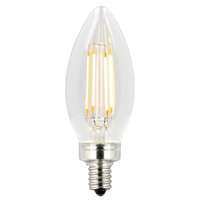 Looks like traditional incandescent flame tip light bulbs and provides the same warm ambiance, perfect for chandeliers and sconces. 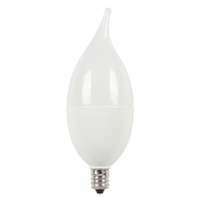 Suitable for use in enclosed fixtures and damp locations such as outdoor rated wall and post lanterns.